There are books that just come at the right time and this was one of them. I have honestly been struggling with a few “injustices” in my life but there is something about the pioneer’s hardships that weakened any “woe is me” feelings down to size. 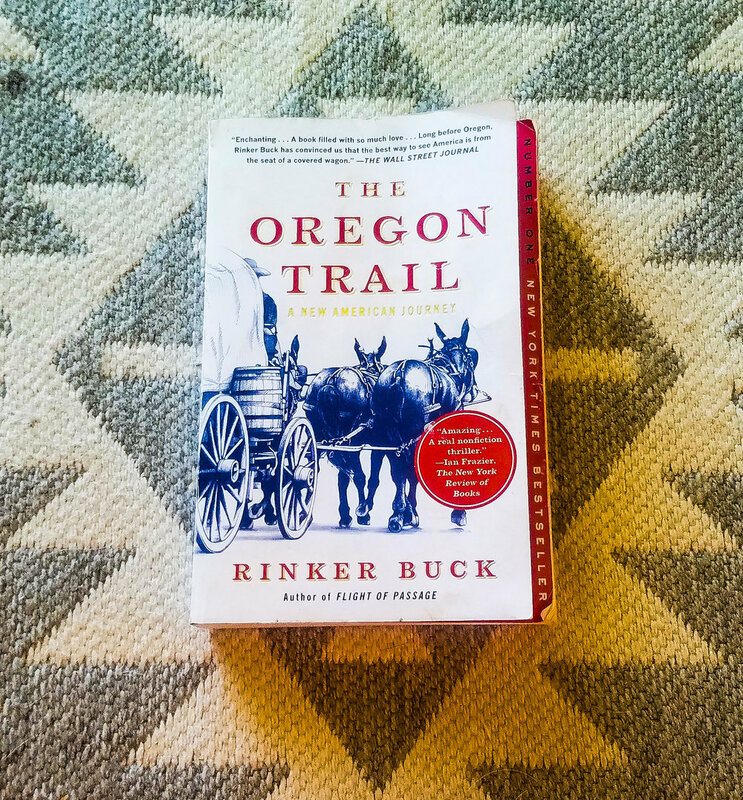 As author, Rinker Buck, shares excerpts from the diaries of those that made the trek, as well as worked through the struggles of their modern passage, I was reminded who I was and what I was capable of. It is funny how a little bit of an attitude change leads to big rewards. As I found ways to make my family and my business function better despite challenges, things got easier. More opportunities became available. The happier I was about life. The easier things became, morale increased, and the cycle of positive attitude made another revolution in my favor. One of these opportunities came in the way of Soldier Meadows Lodge and Ranch. I was contacted about taking photos and building a website for them. My husband spent seven years of his childhood there, so I knew stories and history about it. The loneliness of traveling dirt roads through the remote environment, two kids asleep in the back, and no cell service, put self-reliance into perspective. One of the highlights of the Soldier Meadows trip was visiting Fly Canyon. It was part of the Applegate Cutoff (of the California Trail) that required a block and tackle to raise and lower wagons. It took us over an hour to drive the 8 or 9 miles to the mouth of the canyon and I worried about the tires with each rock the SUV climbed. We had four kids in the car ranging from 15 months to 6 years, plenty of snacks, the A/C cranked up and they still got cranky in that short range. Makes you think about the women who crossed the trail in covered wagons had to endure! Rinker gives an in-depth look into the history of major components that were required for the passage. Entire chapters are dedicated to the history of mules, wagons and other essential subjects as well as the journey itself. He took this trip with his brother, a polar opposite of himself, adding to the story line. If you are offended by foul language or the occasional rant, this may not be the book for you. I can not say I agreed with the New Eastern native on many of these opinions, however, I do find them to be authentic to him. As a New York Times Best Seller, you can find this great read on Amazon or your favorite major retailer!